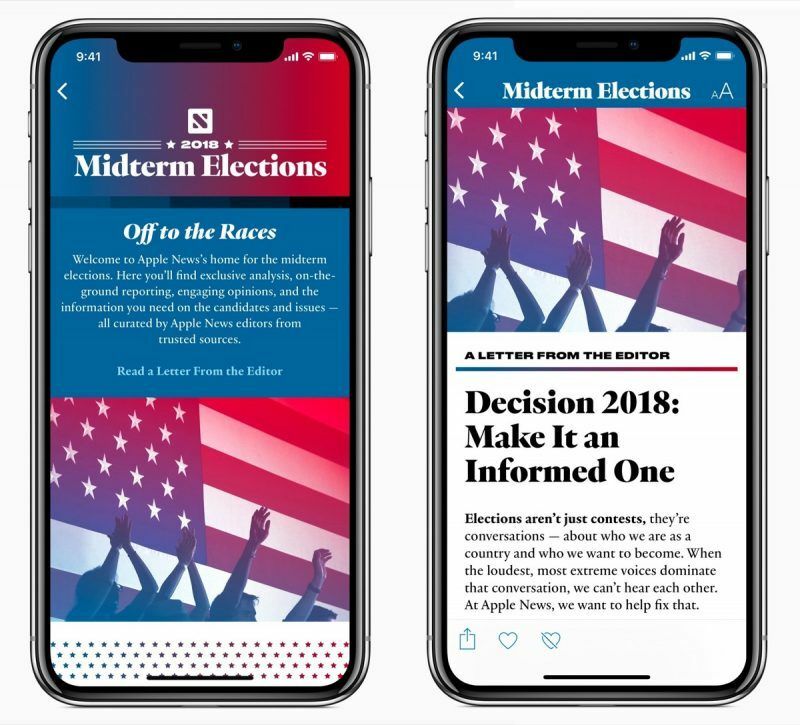 Recently, Apple has announced and launched a new section in its native News application dedicated to providing coverage of midterm elections to be held next November. 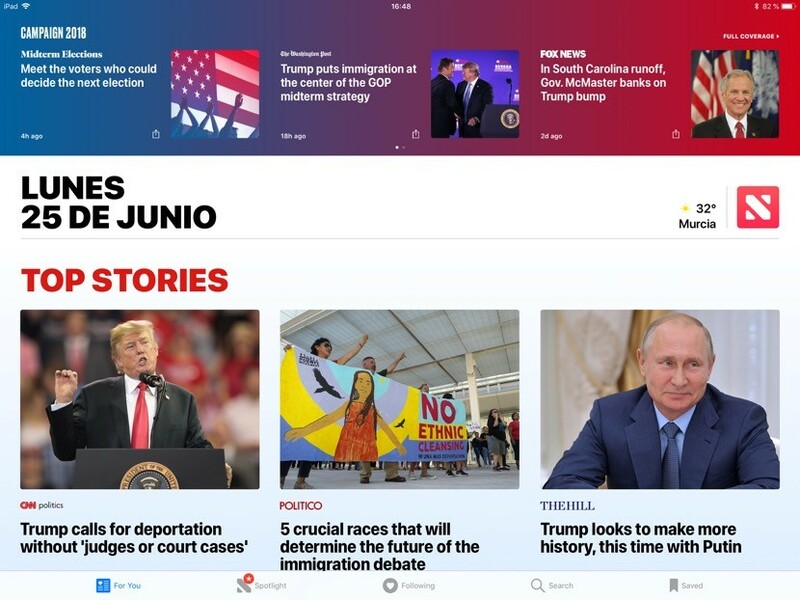 The Cupertino company has said that the new section is designed to help readers stay informed about the latest news about the “2018 Midterm Elections”, including breaking news, exclusive information, highlights and analysis of trusted sources corroborated by the team of Apple News editors. This large section in News will include other sections such as “The Conversation”, a collection of opinion columns on hot topics from reliable sources, regardless of whether you follow them or not in the app, and “On the Ground”, with prominent information from the candidates at the local level. The Washington Post, “Election Now”, a panel that reflects the status of races among candidates based on data from recent surveys, opinions of experts in politics, and so on. A weekly information session of Axios, with an in-depth analysis of the most important events. “Races to Watch” by Politico, which analyzes the issues and trends that may be of most interest to voters. The new News section is available only to users of the application in the United States, being able to access it through a banner located at the top of the “For you” tab. However, as you already know, if you are in Spain or in any other country, you can also access News, although its contents are only in English, as you can see in the screenshot of my iPad that I have left you higher.